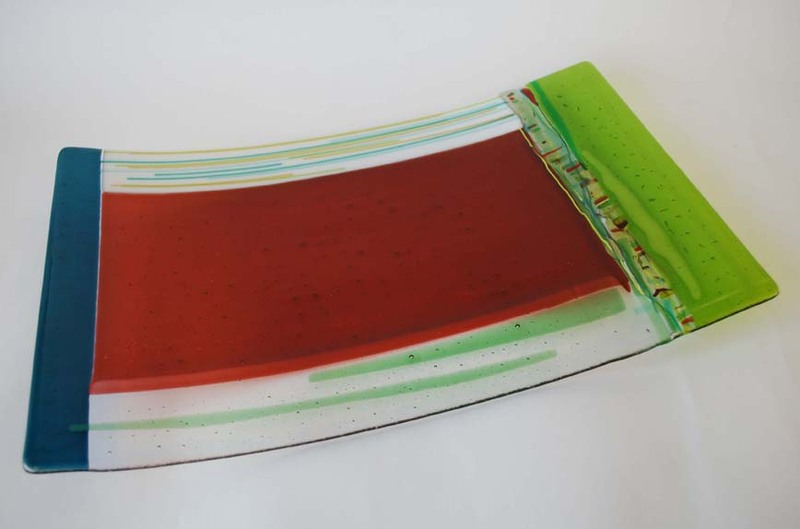 Am so delighted to be featuring the wonderful glass designer Sue King in the Designer Gallery on my interior design website for the next few months. 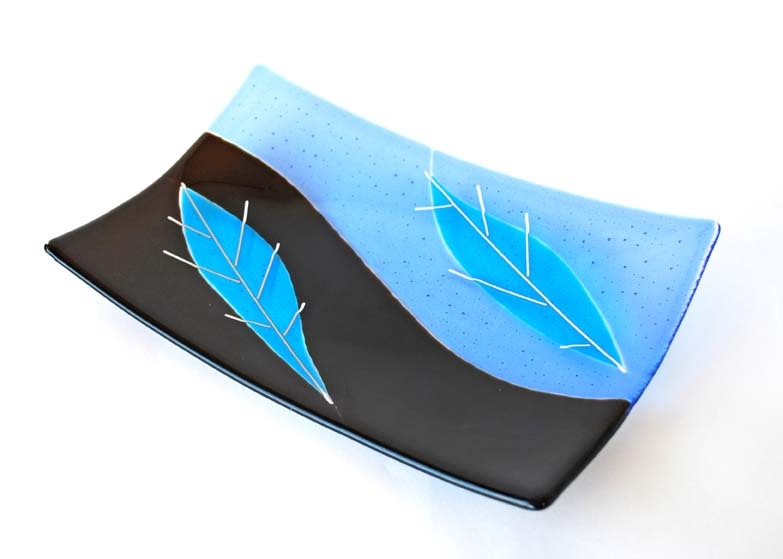 Sue designs and creates contemporary fused glass for residential and commercial interiors. 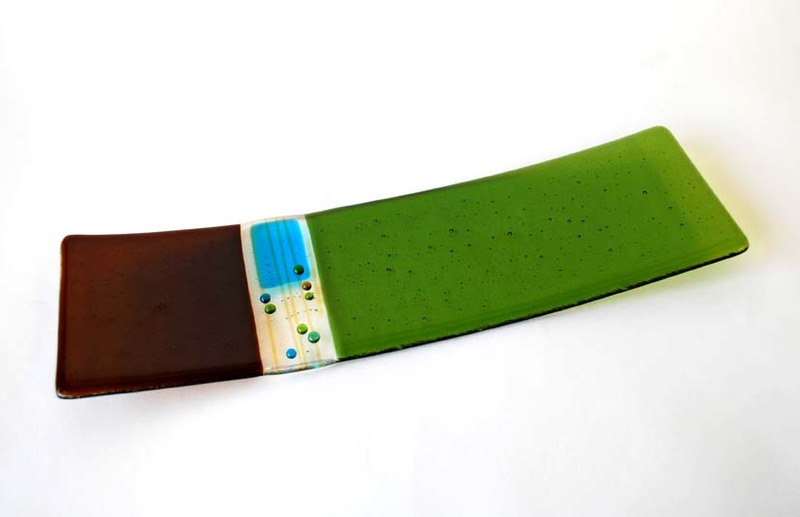 Her range comprises wall tiles, splashbacks, window and door panels and sculptural pieces. 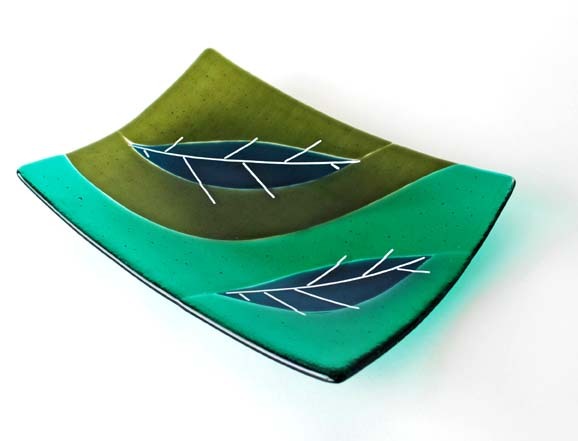 She also creates table platters and dishes which echo the style influence from the 1950s and 1960s with an added contemporary twist. 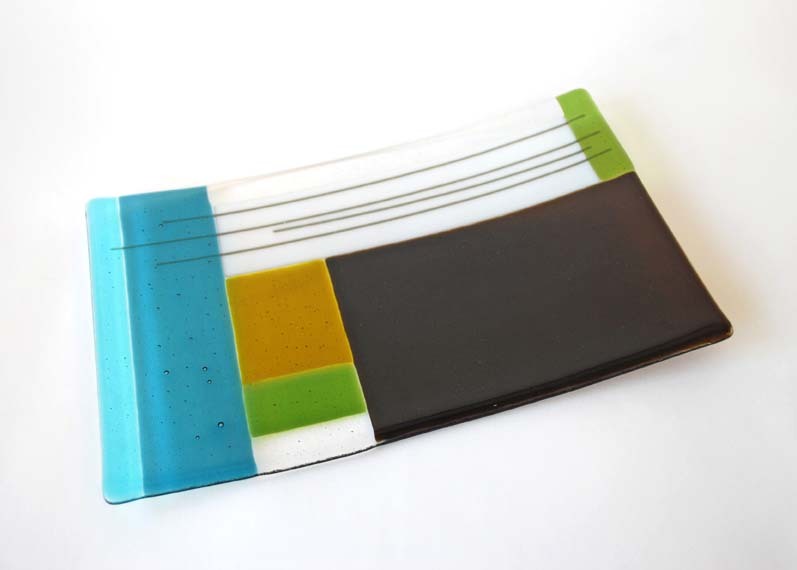 Hi Adrienne, I love reading about your adventures in the design trade and the images in this post are really lovely!